There was that time a few (a few) years ago when I was all amped up because Morrissey was coming to town! Woo! Well, turns out he didn’t. Then he had all these health problems, and I thought “surely he will never come back.” And I began to come to terms that the time I saw him in Chicago in 2011 would be the only time I’d ever see him. You know, I was content with that, too. That Chicago show was insane, surreal, and 100% burned into my memory forever. The Moz fans in Chicago are like rabid dogs. They are fanatical and SUPER SERIOUS. You never would’ve seen them holding up their phone for 30 long seconds to record a video they’d never watch again. They wouldn’t be tweeting “Morrissey is singing a song right now.” And they wouldn’t be talking to each other during the show, thus disturbing others around them. I was in that crowd, and we all waited together for 7-8 long hours in December in the Midwest. We were aching, tired, and what we wanted more than anything was to see Morrissey in the flesh, to possibly have an opportunity to touch his precious skin, like so many have nearly killed themselves to attempt in the past. He is the Messiah. Come to heal us and deliver his prophecy. 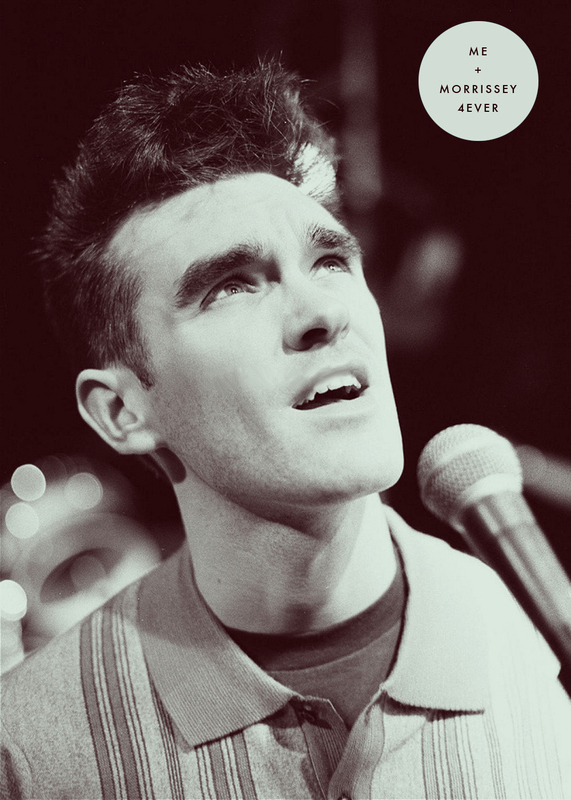 And he rewarded us with fan favorites, deeper cuts and candid sincerity in the way that only Morrissey can. And when he left the stage at the end of the night, I was pinned to the front barrier, having just come within inches of touching his hand, and I was overwhelmed, bereft. What I needed to do just then was to sit in a dark room and listen to my headphones. Last night’s show was a bit of a different experience. I had secured very good seats, but months ago. I easily walked up to the front, with two beers (and would grab another one during the show, no need to fight through a crowd of thousands), sat in my seat comfortably and waited. But it all felt a little different, and I couldn’t figure it out. I think what I discovered is that here in Minnesota, there is a passive obsession for Morrissey (there’s actually a passiveness in most music crowds in Minnesota). And this isn’t true for all fans. I know plenty who are fanatical – like those countless concert goers in Chicago – but they seemed few. 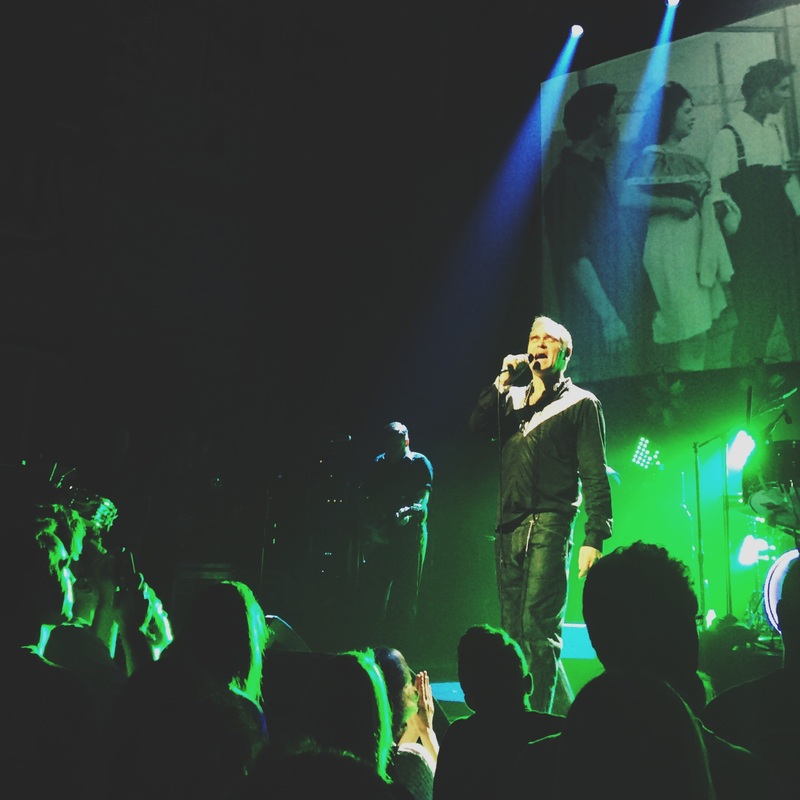 It felt like people were there more to be at a Morrissey show, and less to stand in awe of the man himself. Or maybe I’m wrong about all of it. I do have a difficult time getting into a concert if there are distractions around me. I’m trying to remember this show though, and bits and pieces are coming to me, but not in the same vivid way as my first experience. Morrissey sounded wonderful, though his stage banter was nil, and, perhaps I’m going crazy, but his set seemed abrupt. It ended quietly, with one encore song (What She Said), and exactly zero stage rushes from the crowd. How disappointing! I had such a terrific place in the audience, I told myself all night “When the time comes, I am getting on that stage, or I will die trying.” And I just couldn’t. The venue was small and awkward. My friends who had front row seats had their view sort of impeded by giant speakers taking up 1/3 of the tiny stage. There’s no way for me to write this without sounding totally ungrateful and like I hated it. I didn’t hate it. I can just barely remember it. Afterwards I kept asking my friends “What song did he close with? ?” I remember more acutely being absolutely devastated when the lights came up and I was looking around, feeling lost and bereft again like that time in Chicago, but this time it was indignation. GODDAMMIT. I JUST WANTED TO TOUCH HIM. Today is the 30th anniversary of the release of probably the Best Smiths Album. Most people will say it’s The Queen is Dead (which will celebrate 30 years in 2016) but I don’t think it is, despite all the pressure to love that one best. My first Smiths “album” was actually Singles. So, not an album. A compilation. Still, it was a good introduction for someone like me, who responds to pop sounds first and deep, meaningful lyrics much much later. I found The Queen is Dead on cassette many months later and my summer of 2009 had its perfect soundtrack (I would go on to own a ton of cassettes, many of which made for great memories). I first listened to Meat is Murder, though, later that fall. 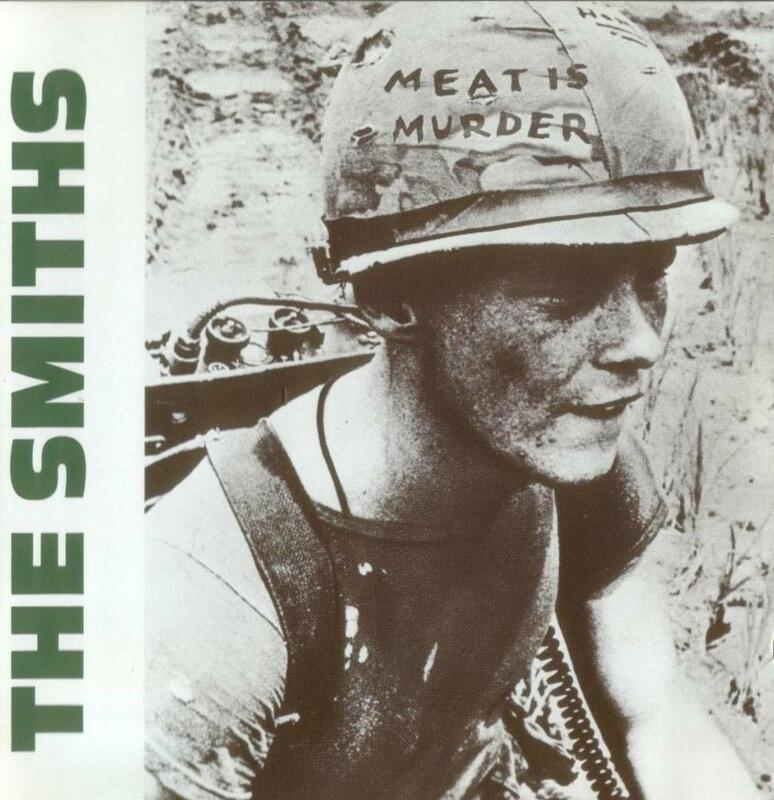 I remember getting chills when the title track wound around and Morrissey crooned about how eating meat is the same as literally killing animals. I was moved, and a little shocked. It was not a popular slogan in the 80s (in fact, it still turns plenty of people off now). A different Smiths “album” became my autumn soundtrack though, which was Louder Than Bombs (which is a fantastic compilation btw). It wasn’t until Winter 2010 that Meat is Murder cemented its place as GOAT (greatest of all time). See, I was in love with a boy (duh) who loved The Smiths (BONUS). Every Tuesday I would go donate plasma to get $20, so I could go to The Triple Rock for 2-4-1’s with my crush. As I was donating, I’d listen to this album. In the daytime, on my way to class, I’d listen to it. The second track, “Rusholme Ruffians” is so filled with glee and nostalgia, it reminds me of that time when life was simple, and care-free. When I’d sell plasma for 20 measly bucks and that was good enough and I was happy. MIM seems to speak to a more reckless, youthful sadness. It’s music for misfits and outcasts, and people with problems that are true life. There’s very few full albums that feel autobiographical for me. MIM is very much a memory of a time and place I was really, physically in. I feel it more lucidly than many other times in my life. Happy B-day Meat is Murder. 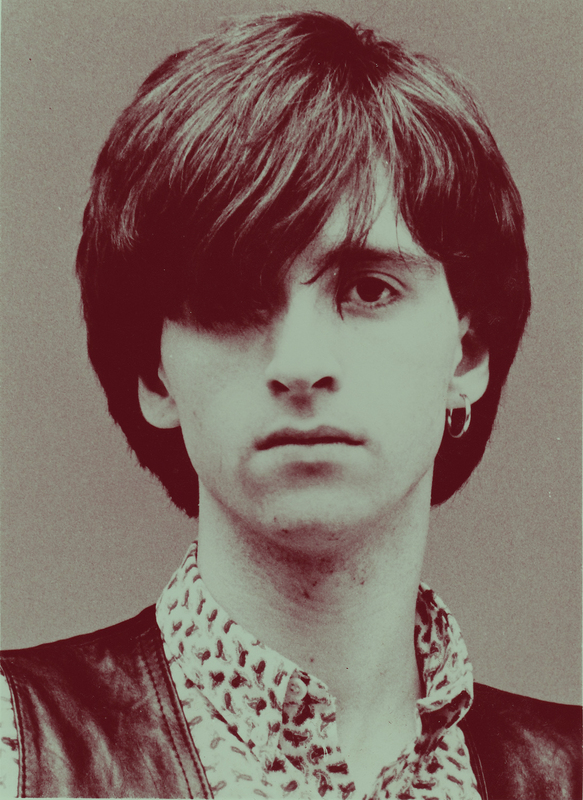 HEY, it’s Johnny Marr’s birthday! Still a young man at 51, still totally rockin’. Johnny Marr is my guitar hero and a total musical genius. 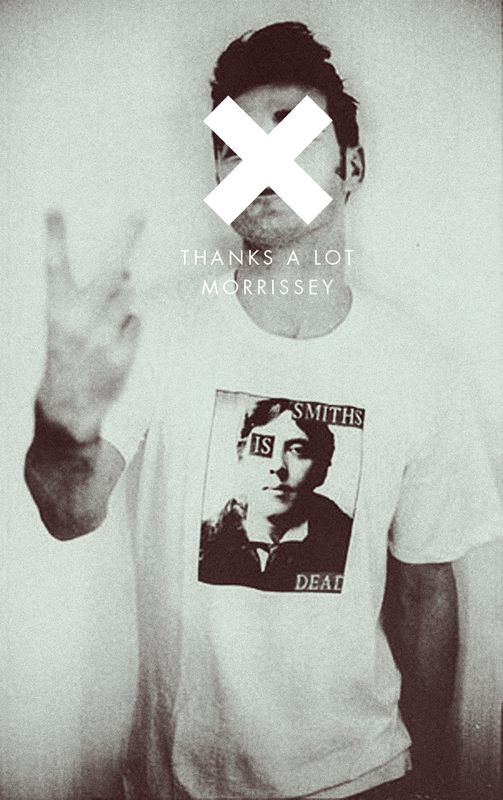 It seems that some people are under the misapprehension that The Smiths could’ve done fine without him. That it was all Morrissey. If someone ever says that to you, please slap or stab them. A couple years ago I would’ve said he needs more recognition but he’s gotten that in spades lately. Johnny Marr also shares a birthday with my sister Emily. Alan’s sister shares a birthday with Morrissey. Isn’t that WACKY? I think it’s wacky. Anybody else? No? Ok.